Home How Do I Know if My Car Has an Open Recall? |How Do I Know if My Car Has an Open Recall? 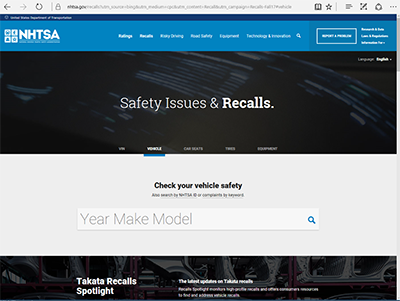 With all the talk about recalls on the news and on social media these days its no wonder so many people are searching for information on weather their vehicle has an open recall. It seems there is a new recall coming out every day. According to the US Department of transportation, manufacturer's issued over 900 recalls affecting over 52 million cars, trucks, vans, and SUVs. So how do you know if you car is affected. Manufacturers' such as Toyota and others as well as the US Government have set up websites dedicated to finding out if your vehicle is affected. All you need is you VIN number and you are all set to find out if you need to bring your car in to the dealer or rest easy that you are not affected.